It involves Venus, Moon and Jupiter. Venus, Moon and Jupiter or Moon and Jupiter together with affliction of Virgo Rasi, 6th house, lord of 6th house and Sun give rise to diabetes. When afflicted Venus and Jupiter or Moon and Jupiter join the above houses and planets or are related and there be also some relation with disease inflicting planet or house, similar disease is predicted. 8th house also rules over this disease. 1. Saturn and Rahu afflicting Jupiter. 2. Combust Jupiter on Rahu Kethu axis. 3. Venus in 6th and Jupiter in 12th. 4. 5th lord with lord of a trik bhava. 5. 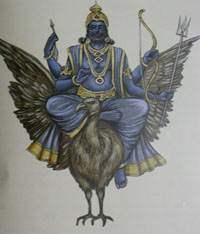 Jupiter afflicted, retrograde and in a trik bhava. 6. 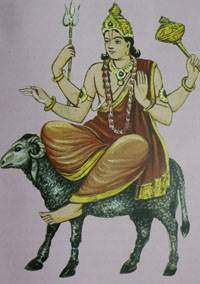 Jupiter in nakshatra P.Shadha or any of ruled by Saturn. 7. Cancer sign afflicted by Saturn. 8. Moon if afflicted by Saturn. 9. 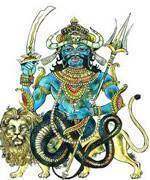 Jupiter in the nakshatra of Rahu and also afflicted by Rahu. 10. 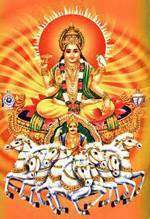 Afflicted or debilitated Jupiter in a trik bhava without any benefic aspect. 11. A strong malefic in lagna while Venus and Jupiter are afflicted. 15. Malefic Venus in lagna or in 8th. 16. Venus in 8th with a malefic aspect. 17. The Moon in Cancer or Scorpio, rasi or navamsa, being afflicted by a malefic. 18. Venus occupies the 8th house and gets the aspect of malefics. 19. Mercury in a Jupiterian sign and receiving the aspect of the Sun. 20. The 7th house a watery sign and occupied by Saturn, the Sun, Mars and Rahu. 21. Mars, Saturn, Rahu, or Kethu in a watery sign, especially in 6th, 8th, or 12th. 22. Lord of the 6th or the 8th or the 12th in a watery sign or a malefic in the 6th, or 8th or 12th in a watery sign. 23. Trik lord in a watery sign. 24. 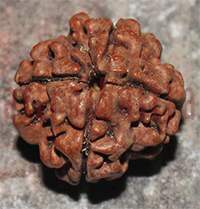 A malefic in trik bhava in watery sign.